Christmas approaches with its usual frenzy of decorations, shoppers, carols, cookies, and lights—all wrapped in joy, peace, and goodwill that is often, sadly, as thin as colored tissue paper. But this year, it’s even harder to “get into the spirit.” Hearts are heavy with grief and fear, especially following the deadly and deliberate attacks in Paris and San Bernardino, California. Yet, another reality coexists with this present evil, just as it did on the first Christmas, when human misery also abounded—the reality of goodness. 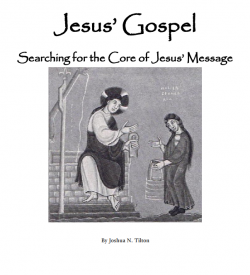 Jerusalem Perspective is excited to announce the publication of the Chinese translation of Joshua Tilton’s Jesus’ Gospel: Searching for the Core of Jesus’ Message. Lesson Two of “Windows on Jesus,” a fifteen-part course on the Synoptic Gospels with Halvor Ronning of the Jerusalem School of Synoptic Research. Lesson Three of “Windows on Jesus,” a fifteen-part course on the Synoptic Gospels with Halvor Ronning of the Jerusalem School of Synoptic Research. Lesson Four of “Windows on Jesus,” a fifteen-part course on the Synoptic Gospels with Halvor Ronning of the Jerusalem School of Synoptic Research. Lesson Five of “Windows on Jesus,” a fifteen-part course on the Synoptic Gospels with Halvor Ronning of the Jerusalem School of Synoptic Research. Lesson Six of “Windows on Jesus,” a fifteen-part course on the Synoptic Gospels with Halvor Ronning of the Jerusalem School of Synoptic Research. Lesson Seven of “Windows on Jesus,” a fifteen-part course on the Synoptic Gospels with Halvor Ronning of the Jerusalem School of Synoptic Research. Lesson Eight of “Windows on Jesus,” a fifteen-part course on the Synoptic Gospels with Halvor Ronning of the Jerusalem School of Synoptic Research. Lesson Nine of “Windows on Jesus,” a fifteen-part course on the Synoptic Gospels with Halvor Ronning of the Jerusalem School of Synoptic Research. Lesson Ten of “Windows on Jesus,” a fifteen-part course on the Synoptic Gospels with Halvor Ronning of the Jerusalem School of Synoptic Research. Lesson Eleven of “Windows on Jesus,” a fifteen-part course on the Synoptic Gospels with Halvor Ronning of the Jerusalem School of Synoptic Research. Lesson Twelve of “Windows on Jesus,” a fifteen-part course on the Synoptic Gospels with Halvor Ronning of the Jerusalem School of Synoptic Research. Lesson Thirteen of “Windows on Jesus,” a fifteen-part course on the Synoptic Gospels with Halvor Ronning of the Jerusalem School of Synoptic Research. 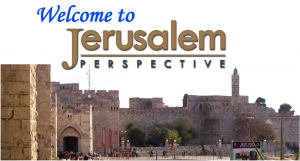 Lesson Fourteen of “Windows on Jesus,” a fifteen-part course on the Synoptic Gospels with Halvor Ronning of the Jerusalem School of Synoptic Research. The final lesson of “Windows on Jesus,” a fifteen-part course on the Synoptic Gospels with Halvor Ronning of the Jerusalem School of Synoptic Research.